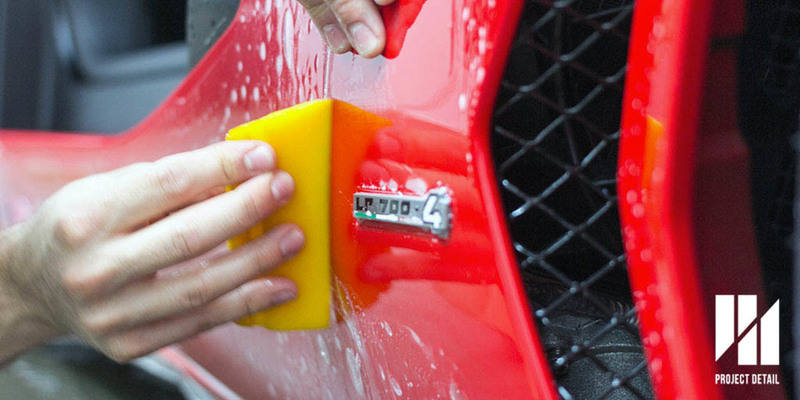 Protect your car with Stoneguard Clear Bra Paint Protection Film (PPF), a strong vinyl material designed to shield your car against stone chips, Key scratches and other abrasions that can damage your car's paintwork otherwise. Stone Guard Clear Bra PPF is a clear and thick vinyl designed solely with protection in mind. For colour changes; matte, satin or carbon fibre Vinyl, Click Here. The two brands Project Detail uses is Xpel and Suntek paint protection films. Check out Xpel Ultimate undergo real testing showcasing results on why it's one of the leading Paint Protection Films ranges available today. Xpel Ultimate - A virtually invisible urethane film. Includes Self-Healing, Stain resistance and superior optical clarity. Xpel Stealth - A satin finish paint protection film. Can be applied on existing matte/satin finished or turn any finish satin! Same features as Xpel Ultimate. Xpel Xtreme - Designed for minimal visual impact, higher clarity but less protection versus Xpel Ultimate. Specialising in tinting Films & PPF for many years, SunTek PPF & tinting films are manufactured in the USA and provide industry leading quality. Suntek PPF C - Very thick by industry standards with great optical clarity. Has self healing and gloss finish. Suntek PPF M - Has similar attributes to PPF C but is a matte/satin finish, transforming the surface matte/satin or allowing it to placed onto existing matte finishes. Our kits have been used on our clients luxury and exotic cars like the Mercedes W205 C63S, Porsche 991 GT3 RS or Bentley Continental GT's. The Paint Protection Film itself once installed conforms to the contours of the car, leaving a glossy and slick surface. The vinyl material itself is highly resistant to physical strikes like branches, scrapes and most importantly offers total protection against stone chips to the car's delicate paintwork. Save yourself money in the long term instead of going through insurance or respraying your car, protect it with our PPF. Genuine Thickness at 6mm to 13mm depending on product selected. Some of our films has a 'self-healing' ability, be sure to ask us how this works. Resistant to Bird Poo, Bat Poo and other acidic elements like water marks. All kit's are computer designed & laser cut to your Specific make and model fitting perfectly. The kit's above represent the most popular and common options. If you would like a more tailored approach for your car, please contact Project Detail here and allow us to walk you through the process. Average costs and times are generalised from our experiences, depending on the make and model or the kit desired it, time's may vary. By taking more time, this allows the PPF Vinyl to settle and giving us the ability to address any issues that may arise. If you are considering a partial wrap only, Project Detail recommends looking at our range of glass coatings by clicking here to offer protection against, chemical, dirt and increase scratch resistance for areas not covered by the Stone Guard PPF Vinyl. By combining a glass coating and Stone Guard Vinyl together, we can construct a package saving you money.